From the earliest museums established by Western missionaries in order to implement religious and political power, to the role they have played in the formation of the modern Chinese state, the origin and development of museums in mainland China differ significantly from those in the West. The occurrence of museums in mainland China in the late nineteenth century was primarily a result of internal and external conflicts, Westernization and colonialism, and as such they were never established solely for enjoyment and leisure. Using a historical and anthropological framework, this book provides a holistic and critical review on the establishment and development of museums in mainland China from 1840 to the present day, and shows how museums in China have been used by a wide range of social, political, and state actors for a number of economic, religious, political and ideological purposes. 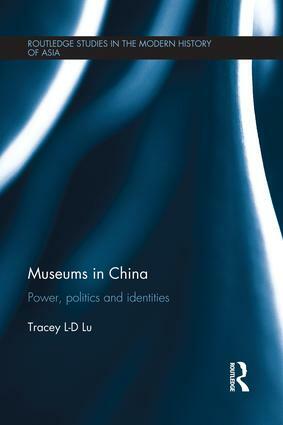 Indeed, Tracey L-D Lu examines the key role played by museums in reinforcing social segmentation, influencing the economy, protecting cultural heritage and the construction and enhancement of ethnic identities and nationalism, and how they have throughout their history helped the powerful to govern the less powerful or the powerless. More broadly, this book provides important comparative insights on museology and heritage management, and questions who the key stakeholders are, how museums reflect broader social and cultural changes, and the relationship between museum and heritage management. Drawing on extensive archival research and anthropological fieldwork, as well as the author’s experience working as a museum curator in mainland China in the late 1980s, Museums in China such will be of great interest to students and scholars working across museology, heritage studies, tourism studies Chinese culture and Chinese history.